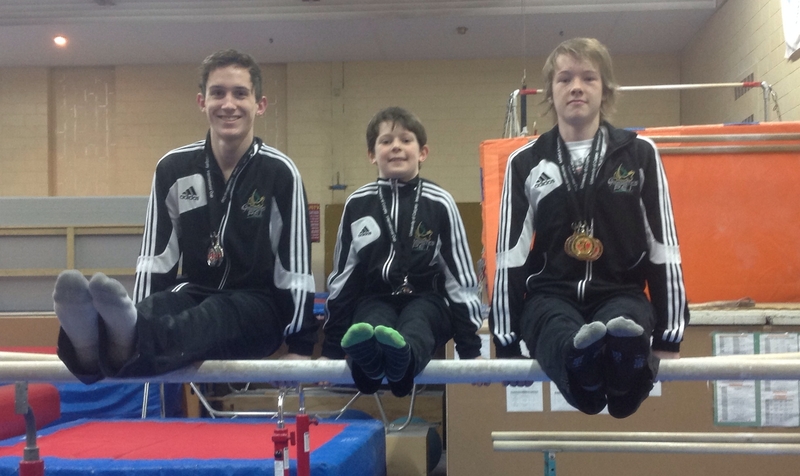 Academy gymnasts posted strong results at the University of Calgary International Cup, March 20-23. Donovan Ching led the Academy team with a silver all-around medal in the over 13 Level 3 category. Ching won the floor exercise, placed second on vault, third on pommels, rings and fourth on high bar. In the over 13 Level 4 category, Ryan McKenna placed sixth overall, after earning second place on rings and high bar, fourth on parallel bars and seventh on floor. In Level 3 under 12, Jacob Carver was second on floor and finished seventh on vault. Jesse Robertson placed fifth on rings and seventh on floor in the same category. In Elite 3, Isaac Bourque tied for 9th all-around and placed seventh on floor. “This international meet is an important competition for our athletes. The caliber of gymnasts is very high and clubs from across North America are competing” says Academy Head Coach Jim Rand.